As you might have read in an earlier post here on my blog I made a colour map for a Swedish RPG called Fantasy!. After finishing the colour map I was asked if I could do two black and white maps for an upcoming Monster book for the game. The maps should be old school, which means no grey scale. 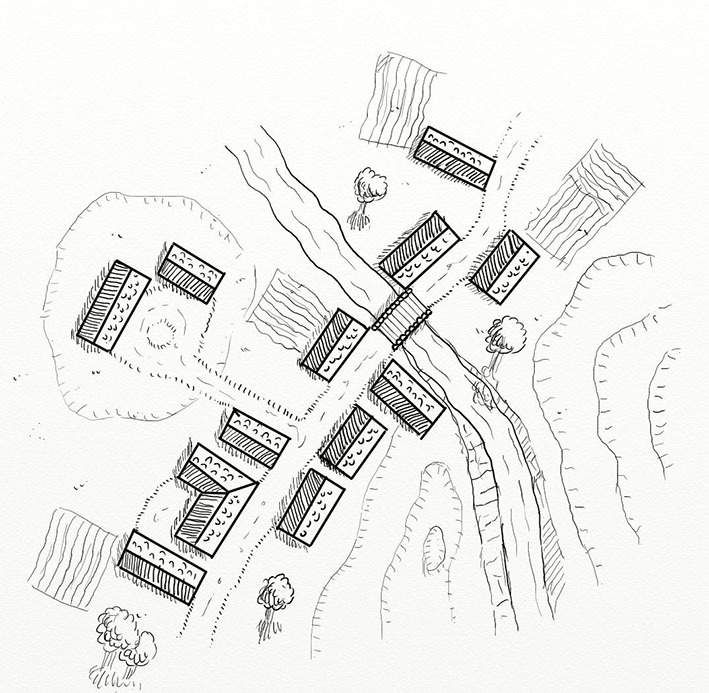 Of course I accepted the offer, making old school maps is kind of fun I think. It is a bit challenging but if you succeed the result is very rewarding. 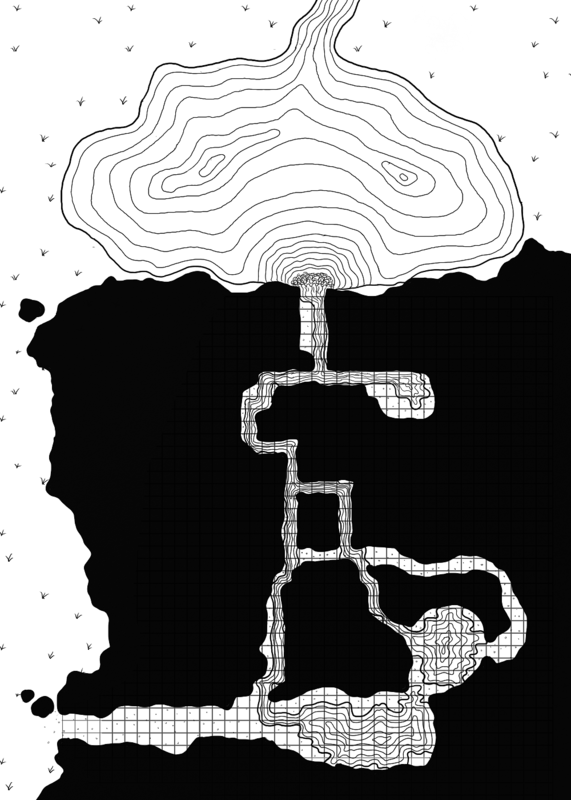 The maps I was supposed to do was one of a cave system behind a waterfall and lake and one of a cellar in a castle where the players had to break out from the cells where they were imprisoned. The map at the top of this post is of the cave system, but without any numbers. So this is actually my first maps I’ve done that have made it all the way to a printed publication. I still haven’t seen the book but I’m eagerly waiting for it to arrive in my mail. The map itself is made in Artrage which I prefer when I do maps “by hand” on the computer. It is a bit more forgiving then Photoshop when it comes to drawing straight lines.